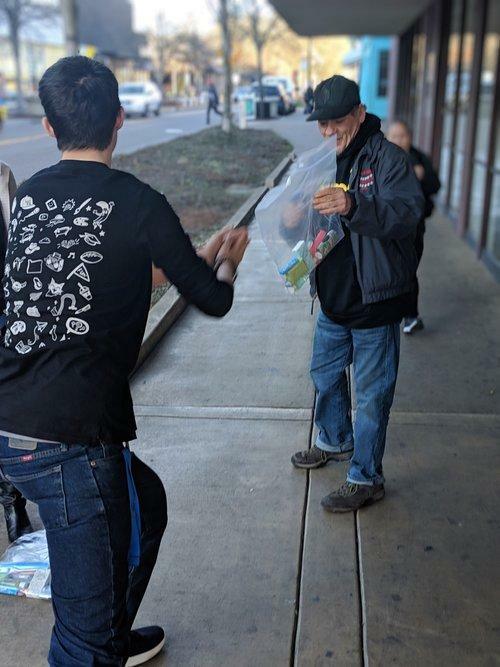 A group of youth took to the streets of Eugene last week to hand out care packages to people experiencing homelessness. 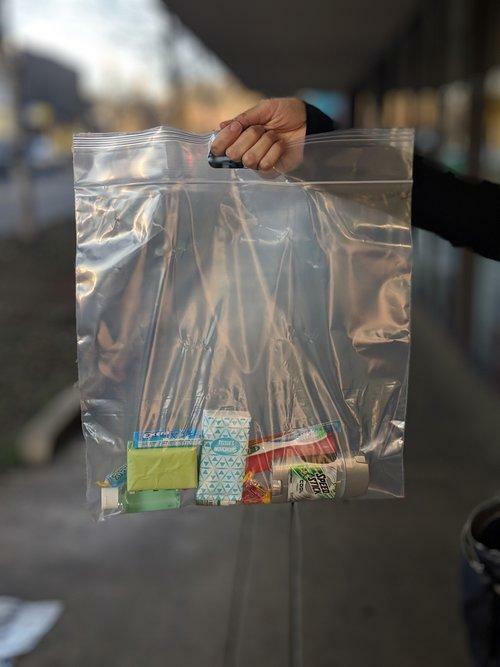 The bags contained standard items like deodorant and toothpaste—and a mental health maintenance kit. The young people are part of a support service non-profit called Youth ERA. Some of them have been homeless themselves. Last Friday, they spent several hours putting together care packages and distributing them in the downtown quarter. Member of Youth ERA gives this gentleman a care package on the streets of Eugene. They handed out more than 25 bags in under half an hour. Each one included a “smile guide” with practical tips for practicing mindfulness and overcoming anxiety. Youth ERA Executive Director Martin Rafferty says nearly half of homeless teens struggle with depression and suicidal thoughts. That’s why they chose this outreach project. The care package contains toiletries as well as a smile guide with tips to promote mental wellness. Rafferty says the smile guides are meant to help people reconsider their approach to mental wellness. It’s part of their ongoing campaign to raise awareness of the connection between mental health and homelessness. The City of Eugene and Lane County officials are throwing their support behind an ambitious proposal aimed at effectively ending homelessness in the region. In Eugene, there are some innovative programs and initiatives to provide emergency shelter. That includes the Rest Stop program which offers small temporary dwellings for people who are homeless. 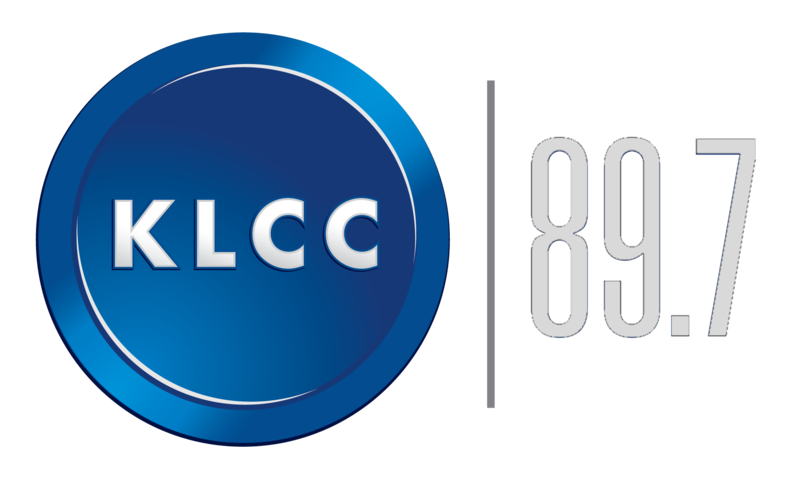 As KLCC’s Denise Silfee discovered, while that shelter can save lives it doesn’t guarantee access to another basic human need: running water for drinking, hygiene and sanitation. In her second State of the City address Thursday night, Eugene Mayor Lucy Vinis acknowledged some of the promising steps taken in 2018 and what opportunities may lie ahead. The mayor drew down on four major priorities. Roughly two dozen picketers gathered outside the Downtown Athletic Club at noon today, demanding Eugene businesses support a homeless shelter in the area. After 8 years, Shelley Corteville has stepped down as director of Egan Warming Center, a network of sites where homeless people can keep warm when temps fall below freezing. Now, the advocate plans to focus on helping unaccompanied youth.